Looking for the best software development methodologies for your project? 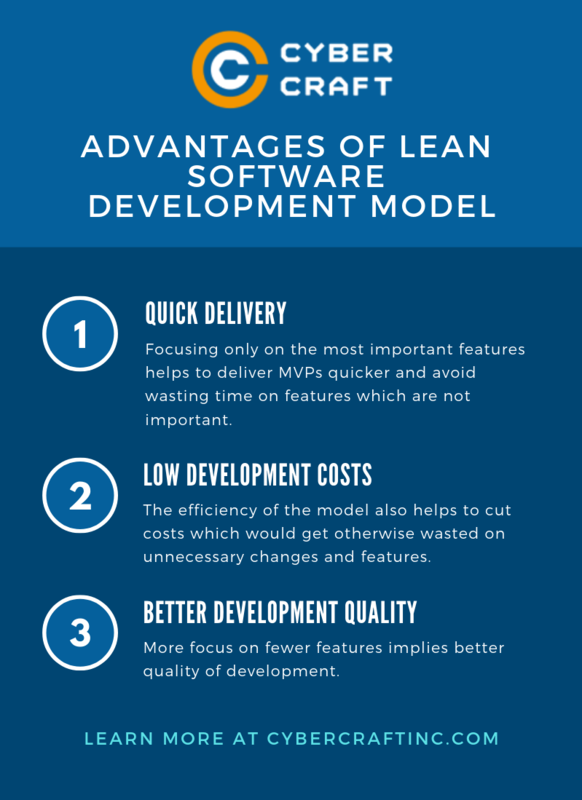 Look no further as in this comprehensive guide you will discover the most popular software development models such as Waterfall model, Kanban, & other SDLC methodologies as well as their advantages & disadvantages. Software life cycle models are diverse & many. Starting with classic Waterfall methodology & ending with some exotic options such as Dynamic System Development Model Methodology one can find the one which suits his or her project requirements best. If you are outsourcing or using software development outstaffing, then you may not have to make this hard choice. Otherwise, you need to have sufficient knowledge about the most popular frameworks. 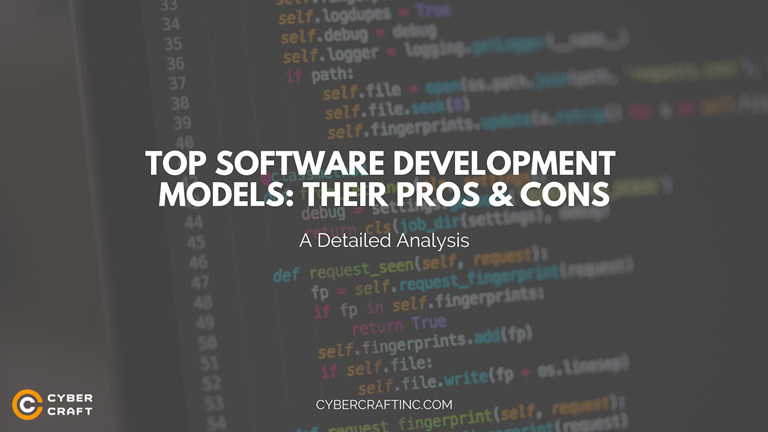 But before we dive into the subject, let us answer a fundamental question: what is a software development life cycle (SDLC) & why do we even need SDLC models in the first place? 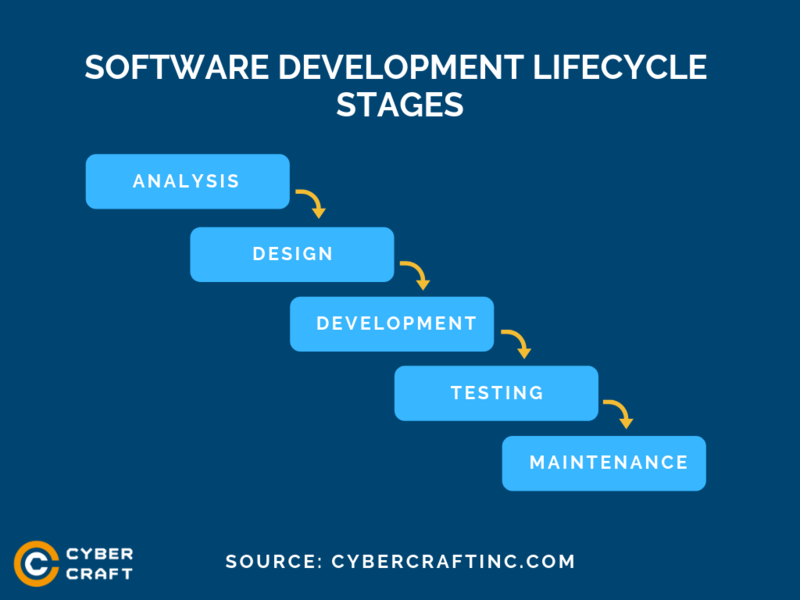 What Is a Software Development Life Cycle (SDLC)? Shortly put, it is a process of software development at the lowest cost with the highest quality in the shortest time possible. As such, it seeks to fulfill these three goals to the maximum extent. For this reason, numerous methodologies have appeared which propose different ways to achieve these goals. Analysis. The very first step is understanding what you’re trying to build as well as forming a clear requirements list for your product. Design. 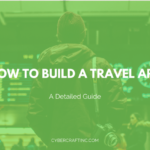 Once you have a clear vision of the final product you can design an initial prototype for the future application as well as show it to your future customers for feedback. Development. With a quality prototype in place, developers can begin coding. Testing. After an MVP (minimum viable product) or the final product is developed (if you’re using Waterfall method) it’s time to do testing. Developers fix the found bugs before final release. Maintenance. After the product gets released the development team continues the maintenance process & fixing any newly discovered issues which they learn about through users’ feedback. Requirement gathering & analysis. It is mandatory to define clear requirements before coding takes place. A comprehensive technical specification document gets created. System design. Overall system design is created, usually in a form of visual prototypes, schemes to give a better understanding of the final product. Implementation. A product gets broken down into smaller units, each of which gets sequentially developed & tested. Testing. Once all units get prepared, developers integrate them into one system and test it. Then the developers work on any issues identified during this stage to prepare it for deployment. System deployment. After programmers fix all bugs they release the final product. Maintenance. Feedback is received after the release and the developers add updates to the system based on that feedback. This model follows a strict sequential logical order. This implies notable upsides and downsides which we will analyze next. Simple & clear structure. 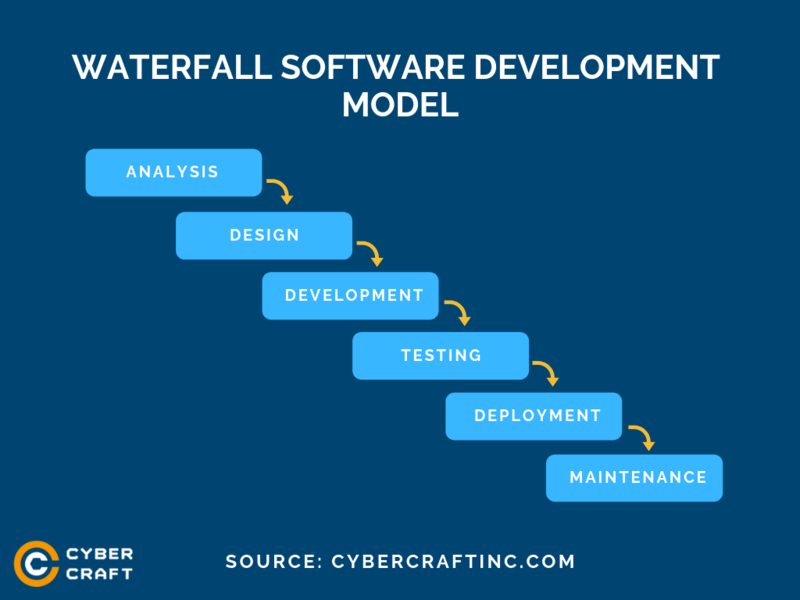 Waterfall simplifies development process more than any other existing model. Unlike Agile, where you have multiple iterations after each phase, with Waterfall you do everything step-by-step as well as focus on one thing at a time. Clear deadlines. Waterfall always implies clearly set deadlines for each phase, unlike other models. This adds more predictability & discipline to your project. Clear desired outcome. This model requires you to create a technical specification with a requirements list for the final product before you do anything else. You must have a clear vision & understand what you’re trying to build. Waterfall gives you that clarity. 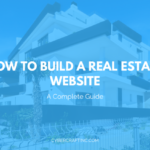 With it, you know exactly what you’re building and why. Easy progress tracking. Since this model is simple & clear all stakeholders can easily track progress & see which stage a project remains at. Better quality of the final product. The model’s structure helps to obtain the highest quality of the final product possible. Better knowledge transfer. Constant and detailed documentation throughout the entire development process fosters easy knowledge transfer between the involved stakeholders. No flexibility. Since project requirements get precisely set in the very beginning, no adjustments can take place on the go at later stages. If a client or product owner suddenly changes his mind and wants to add some changes to a technical specification in the middle of development then the entire process will have to get repeated. Therefore, Waterfall offers little or no flexibility. Small changes are not so small. Sequentiality creates a “domino effect” – even a small tweak in one phase may lead to massive changes in the next phases as they depend on the previous ones. This can significantly increase time, costs and other resources required. Therefore, there is little room for change as any changes have a serious impact on the entire workflow. Mistakes in initial calculations and assumptions can have a disastrous effect. Since all calculations and planning take place during the first phase, any errors may lead to catastrophic consequences for the entire project and even result in its complete failure. Therefore, if you’re using Waterfall, it is vital that you carefully examine your calculations and assumptions before you proceed any further. Unforeseen issues identified too late. Since testing occurs at later stages you might discover unexpected bugs and challenges. This might result in serious delays and additional costs or in some rare cases, a complete project failure. Born in the 1990s, Scrum has become quite popular in the Agile world. The client sits together with the dev team to create a Product Backlog – a feature list. The workflow gets broken down into Sprints, separate sequences which usually last 2-4 weeks. The client agrees upon features to get developed in each Sprint. Therefore, a complete SDLC occurs in every Sprint. A feature list for each sprint is called a Sprint Backlog. The devs must also create a task list for each Sprint. After each Sprint, a client reviews the developed features and provides his feedback. Usually, a review meeting also takes place where stakeholders discuss what can get improved further on regarding the entire development process. High flexibility. 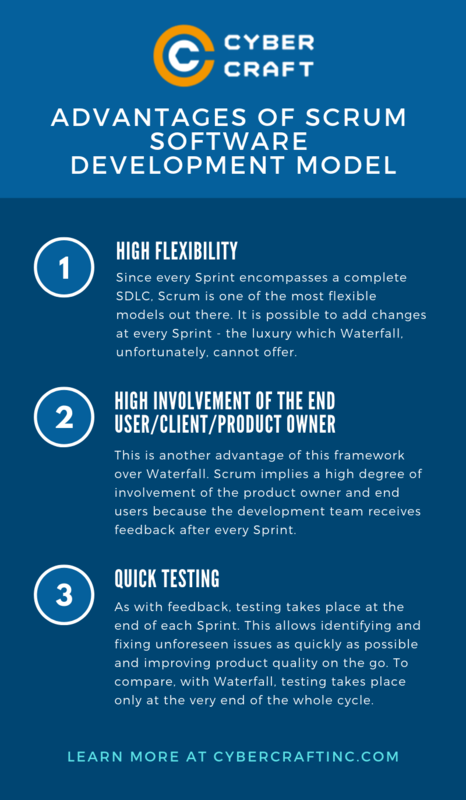 Since every Sprint encompasses a complete SDLC, Scrum is one of the most flexible models out there. It is possible to add changes at every Sprint – the luxury which Waterfall, unfortunately, cannot offer. High involvement of the end user/client/product owner. This is another advantage of this framework over Waterfall. Scrum implies a high degree of involvement of the product owner and end users because the development team receives feedback after every Sprint. Quick testing. As with feedback, testing takes place at the end of each Sprint. This allows identifying and fixing unforeseen issues as quickly as possible and improving product quality on the go. To compare, with Waterfall, testing takes place only at the very end of the whole cycle. Lack of documentation. 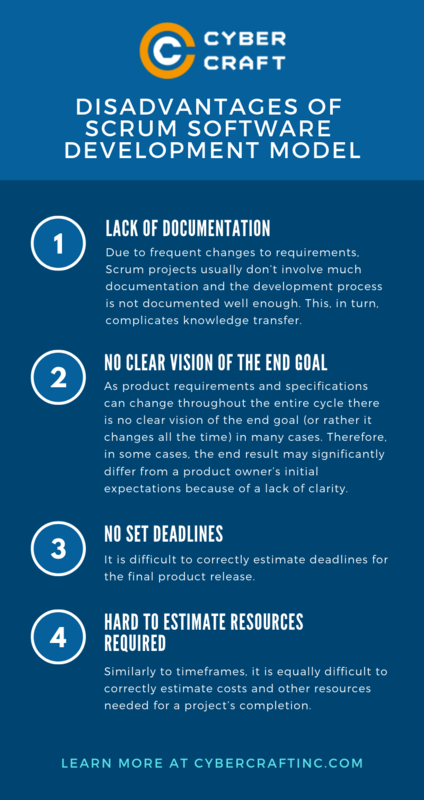 Due to frequent changes to requirements, Scrum projects usually don’t involve much documentation and the development process is not documented well enough. This, in turn, complicates knowledge transfer. No clear vision of the end goal. As product requirements and specifications can change throughout the entire cycle there is no clear vision of the end goal (or rather it changes all the time) in many cases. Therefore, in some cases, the end result may significantly differ from a product owner’s initial expectations because of a lack of clarity. No set deadlines. It is difficult to correctly estimate deadlines for the final product release. Hard to estimate resources required. Similarly to timeframes, it is equally difficult to correctly estimate costs and other resources needed for a project’s completion. Scrum is not the only notable Agile framework out there. There exists also another model in the Agile world which is worth your attention. The bottom line is, Kanban may prove a very effective framework for your project if you’re into Agile. Let’s see what pros and cons it offers. Focus on the most important tasks. 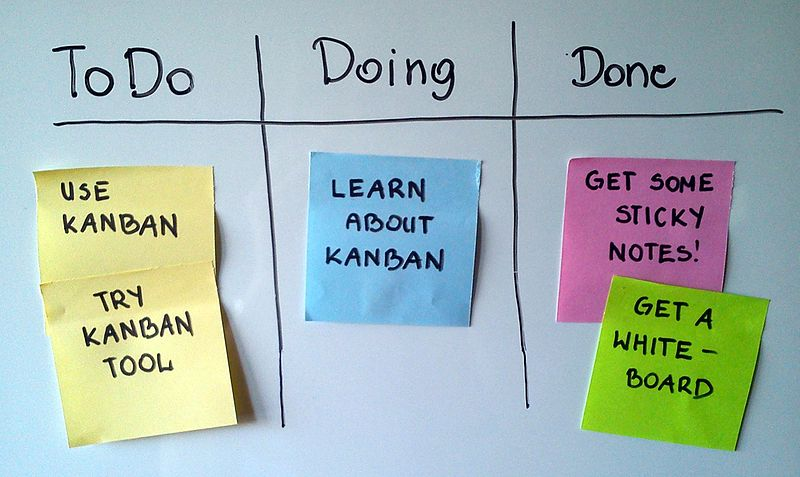 Kanban helps you to focus work in progress on the most vital areas. Designed for maximum efficiency. Kanban process helps to maximize the efficient use of time, money and other resources. Faster delivery. 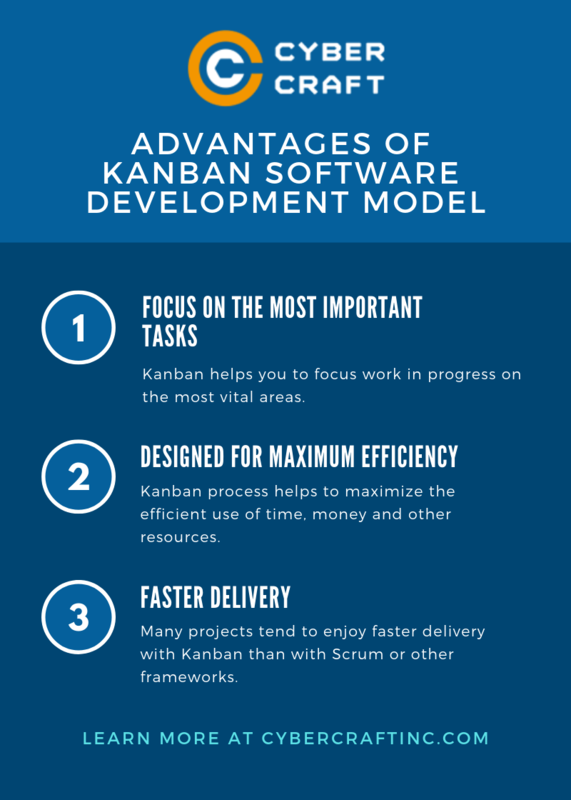 Many projects tend to enjoy faster delivery with Kanban than with Scrum or other frameworks. Lack of timing. There tend to be no set timeframes associated with each phase. No prioritization by urgency. Tasks do not get prioritized by urgency. Hard to predict timeframes. Those sticky notes on the board do a really poor job of estimating specific timeframes. 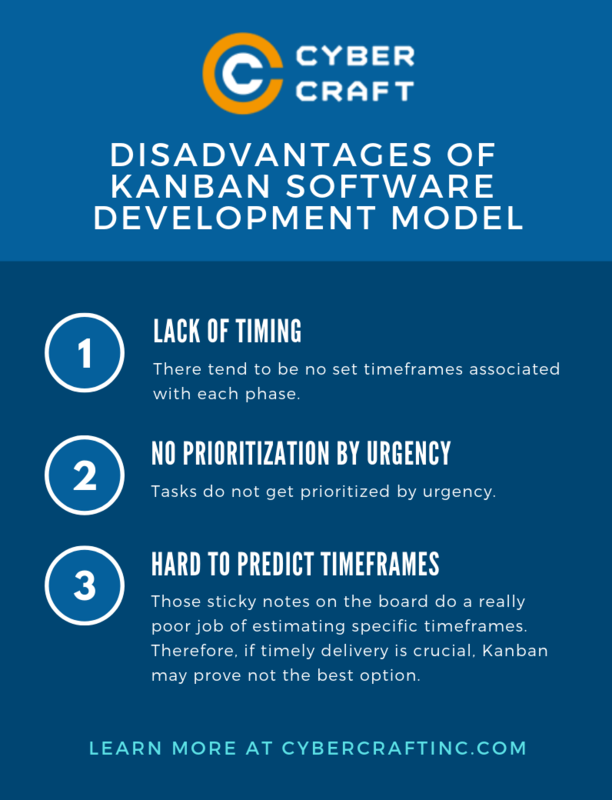 Therefore, if timely delivery is crucial, Kanban may prove not the best option. 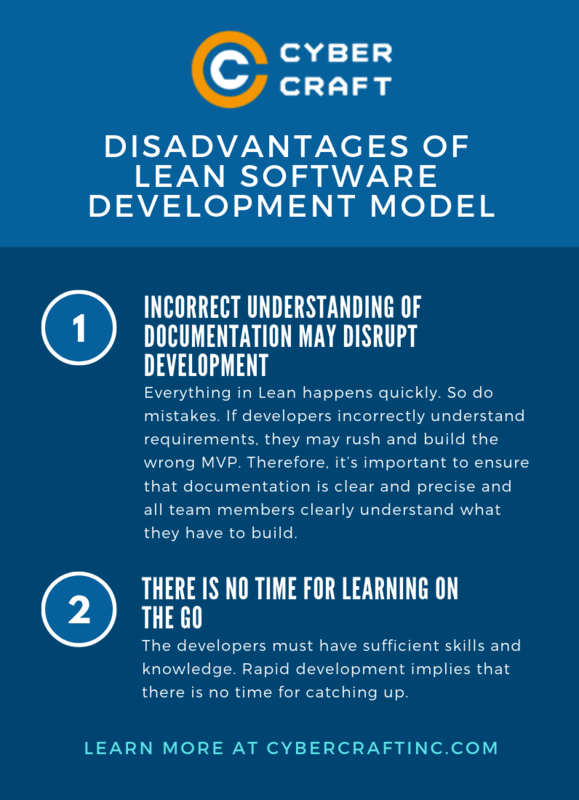 Japan, being the homeland of the Kanban method and many other methodologies, is also home to yet another famous model which originated from manufacturing – Lean software development. Once again, we’re dealing with another invention of Toyota. The key principle of this approach is the following – do only what matters and leave out the rest. This has numerous implications. For example, it means you should focus on building only the most important features first. The key notion in this framework is the so-called minimum viable product (MVP) which you must have already heard about. This is a minimal prototype of the future product which has only the most essential features. The Lean model works in learning cycles – every new release of an MVP helps to collect valuable feedback from end users and use that information for building the next version, and so forth until the final release. Quick delivery. Focusing only on the most important features helps to deliver MVPs quicker and avoid wasting time on features which are not important. Low development costs. The efficiency of the model also helps to cut costs which would get otherwise wasted on unnecessary changes and features. Better development quality. More focus on fewer features implies better quality of development. Incorrect understanding of documentation may disrupt development. Everything in Lean happens quickly. So do mistakes. If developers incorrectly understand requirements, they may rush and build the wrong MVP. Therefore, it’s important to ensure that documentation is clear and precise and all team members clearly understand what they have to build. There is no time for learning on the go. The developers must have sufficient skills and knowledge. Rapid development implies that there is no time for catching up. How to Select the Right Model for Your Project? What model is right for you depends on the scope of your project, available resources, budget, timing, and your own preference. Most debates revolve around the question of Agile vs Waterfall. Some people find Waterfall the most suitable model because it’s least complicated. However, if you working on a large-scale project then Waterfall may prove not the best option because of its inflexibility. If you’re working on a small one, Waterfall might work for you. If you have scarce resources but have no tight deadlines, Scrum or Kanban might prove a good fit. If you have few resources and little time, Lean may prove the best option. Using a proven software development cycle methodology is a must if you want to make your project successful. 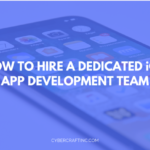 Before beginning development, it is worth taking your time to carefully study the most popular software development methodologies and select the best one for you. We hope our guide will help you to make the right choice.